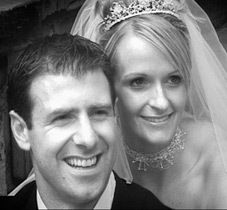 Wedding photography both traditional and contemporary styles with the choice of digital or film mediums. 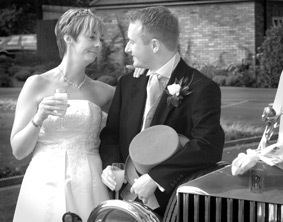 Digital broadcast quality wedding DVD & video superbly edited and a wedding car service from Stephens of Earlswood. As a ‘Master’ professional photographer, John has specialised for over 20 years in wedding photography and video production. Together, with his team, John now offers you the benefit of their skill and expertise which today makes them one of the leading experts in the country. HRH The Prince of Jordon, professional football players, television personalities such as Ulrika Johnson, Shefali Oza (Midlands Today), Simon Cusack (Air Rescue), Gabriel Drake (Crossroads), David Belomy, Carl Chin (TV historian), a BBC Antiques Roadshow expert and rock stars like Tony Iomi lead-guitarist from Black Sabbath & friend of the Osbournes. ‘A premiership wedding’ - former West Bromwich Albion captain Sean Gregan ties the knot. John Stephens L.M.P.A. 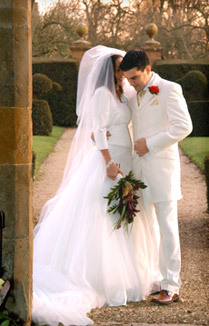 creates Classical and Contemporary wedding images to last a loving lifetime. John and his dedicated team produce cinematic styled digital video, highly praised for its fly-on-the-wall content and slick finish and by way of a family-run business, offer prestigious vintage wedding cars from Stephens of Earlswood; which have appeared on television and are famed for their immaculate cleanliness and originality. Their skills and experiences go beyond Christian marriages church and civil, and include the following faiths and cultures – Jewish, Greek/Cypriot, Muslim, Croat, Hindu, Chinese, Jamaican, Sikh and many others all involving different practices and require different techniques. Completing our triple-services and by association to our family run related company Stephens of Earlswood, we're able to offer a wide range of immaculate classic and vintage wedding cars from Rolls Royce Silver Shadows to a rare Phantom 1 and other makes nearly one hundred years old. However, this is not all. As you’d expect most forms of social photography and video events are also catered for including Christenings, Engagements, Parties, Christmas Company Events etc., but also long before John qualified as a Master Photographer, he practised in the field of commercial photography & video and has maintained a professional commercial service at a competitive price. If you've arranged to visit our head office, streetmap will pin-point our head office. If you've arranged to visit us, streetmap will pin-point our head office. Please note that visits are only by appointment and no photographic equipment or wedding cars are kept here.